Thanksgiving is a very special Holiday. It’s time for spending time around the table and enjoying a meal with our family and best friends. 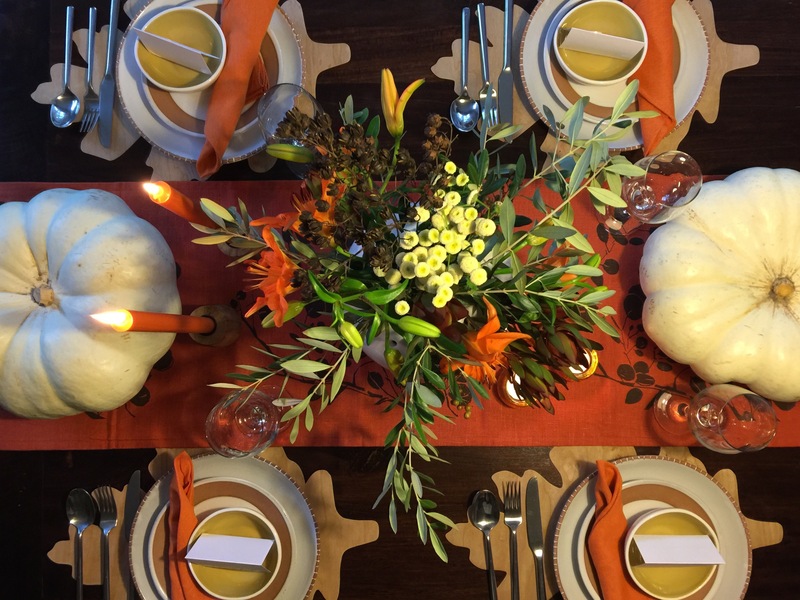 Since this holiday is centered around the table, it’s very important to create a beautiful table decor to make Thanksgiving even more special. Every year, I choose a different theme. This year, I wanted to focus on a natural look filled with natural pumpkins, fresh fall florals, wood, leaves, clay, and cotton. I love decorating with pumpkins just because they come with different sizes, colors and styles. They are so perfect for a centerpiece for a Thanksgiving table decor. 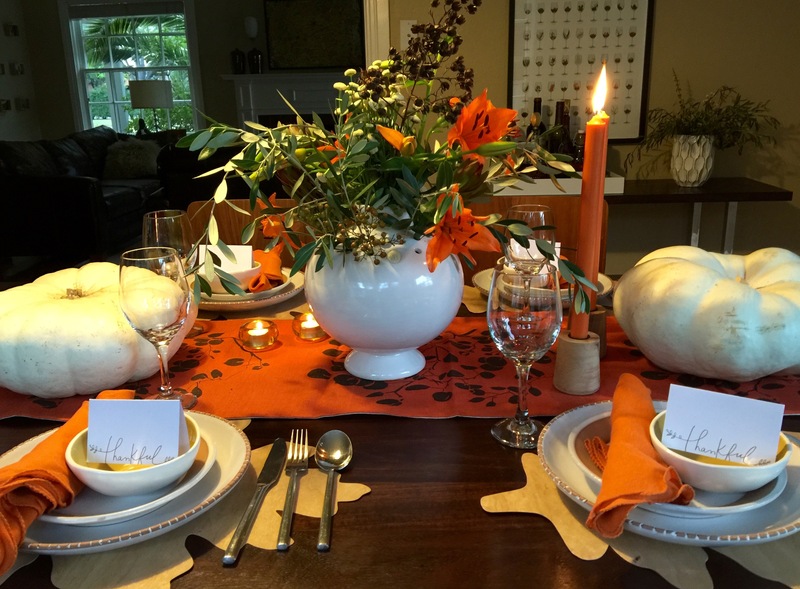 There are several ways you can style your table using pumpkins. You can use the pumpkins as a vase, votives for fall candles, and/or putting pumpkins on top of a pedestal. 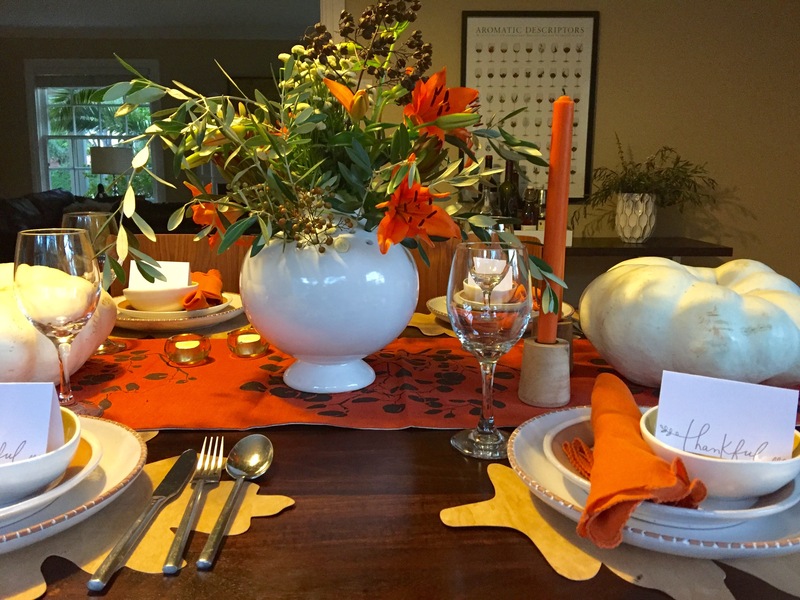 If you want a table decorated like mine, just arrange your favorite pumpkins ( I love white pumpkins!) down the side of your table and simply make a vase arrangement with olive leaves, chamomile flowers, and orange lilies. 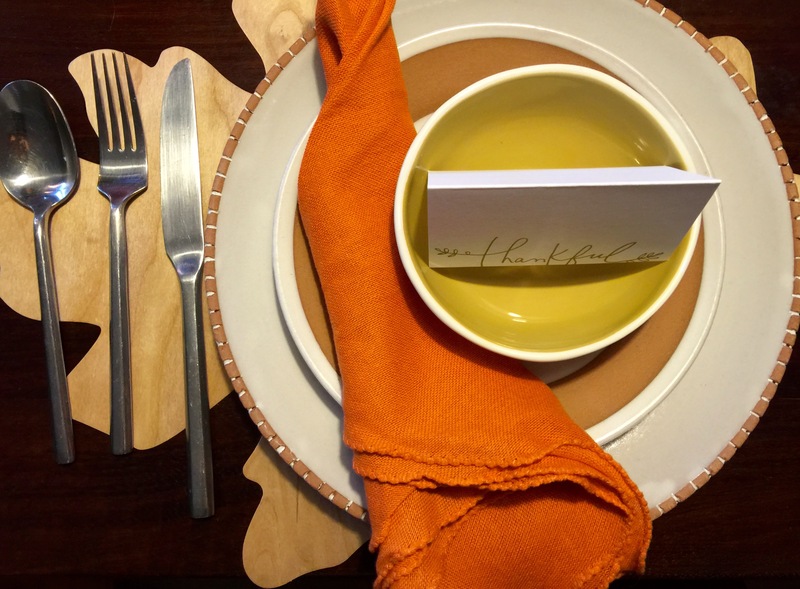 To make the table get a more sophisticated natural look, add simple decor peaces. 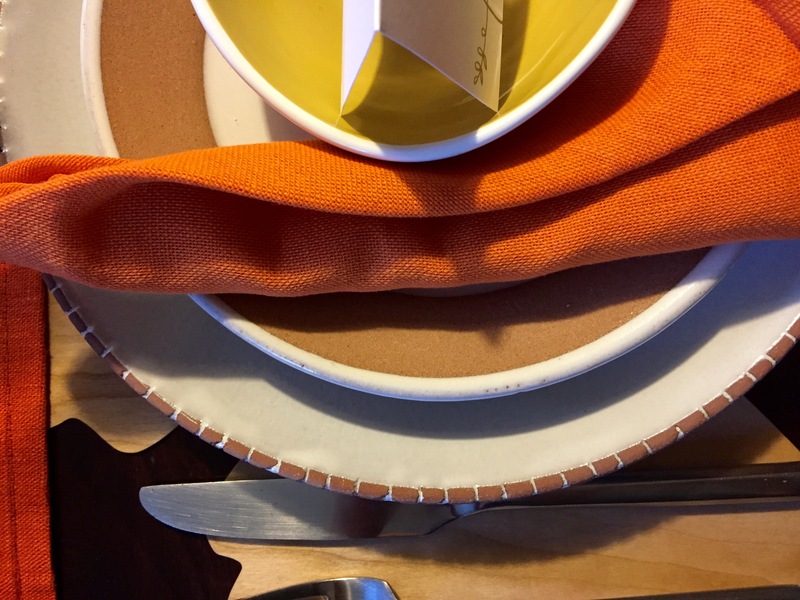 For my table, I chose the clay dishes, oak leaves wood placemat, organic cotton napkins, saal wooden taper candle holders, and my favorite linen eucalyptus table runner by Beyond Her. Walk through your neighborhood, pay attention to the trees, and you’ll probably find something interesting to set the table. Feel free to play with natural elements! Hi Alicia.Thank you very much for visiting the blog, I really appreciate it! Thank you very much.I really appreciate it!